Wrist tattoos is a popular trend but it might not suit all occasions. When heading for a formal client meeting or a conference, a wrist tattoo might not suit the occasion. You surely would not like to do away with your permanent style statement for a formal event. A simple ways out is, to hide your tattoo temporarily with wrist accessories and cloth pieces. Listed here, are few easy ideas to hide your wrist tattoo temporarily. Full arm shirts and tops are very useful and a quick solution for any situation where you want to avoid being seen with your wrist tattoo. In winters one can have coat or jacket to hide the tattoo. But in summers, you can hide it by wearing full sleeved cloths, rather than wearing sleeveless dresses or half t-shirt/tops. Fashionable silk piece or wrist tie come as an easy option when you don’t want to wear full sleeve clothing. Wearing skin colour outfit under the dress with long enough sleeves to cover your tattoos is the another way. 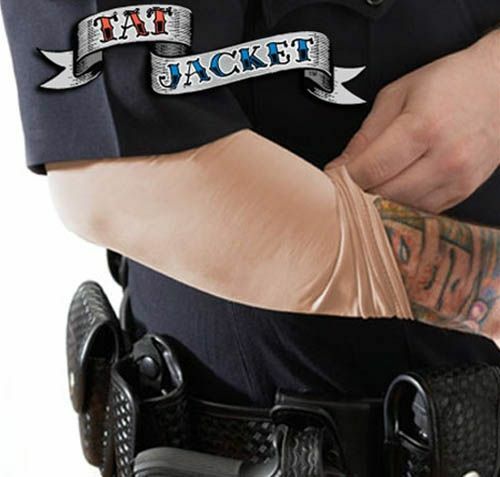 To avoid the sleeves to slip up from your arm and reveal your tattoos, look for an opaque design with fabric that wraps around and attaches to your thumb so the sleeve does not slide up. Gloves can be an option too, if the weather permits. Another way is that you can have accessories in your hand like watch or band. People have various wrist watches for different occasions. One big wrist watch can look odd in some situations but if your preference is to hide your tattoo, it is a very good option, without going out of bounds. A big watch like sports kind, can easily hide tattoo. But you have to mind how tight your watch is it and whether it fully covers the tattoo side of the wrist. Some small adjustments can hide your tattoo completely from other people eyes. If you don’t have any of that size, visit sports apparel store and get a good one. Apart from wrist watch, one can always use the wrist band. This can be a fashion statement too. Friendship band is a good way to hide your tattoo from other’s view. The bright colors of friendship band can be striking good enough to hide the tattoo beneath it. Sports band is another option but it is strictly for the occasions and depends on your outfit too. The size of the sports wrist bands are good enough to hide big size wrist tattoos. For females more options are there like bracelets, which are fashionable and could be very helpful. A set of bangles or broad bracelets can solve one’s problem. Today there are numerous varieties of bracelets and wrist bands which one can easily get from the market to keep a set of accessories for tattoo hiding , whenever it is needed.